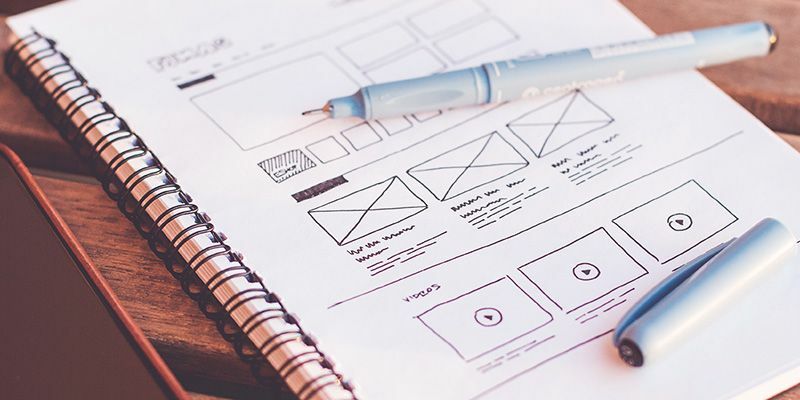 In product development, it’s widely known that there’s a particular audience that must be heard, understood, and prioritized above all: the user. From qualitative feedback and surveying to hands-on testing and iterative design, the end-user is central to the success of building most anything. This framework can (and should) be applied elsewhere. Think participatory government, constructing a house, or building an inclusive workplace. We sat down with Emma Schwartz, Senior Director of Product at Shutterstock, to chat about how this understanding of product development is a helpful way of holding companies—and their employees—accountable in building spaces that foster a true sense of belonging. Inclusion, however, gets to the core of how we build social spaces and the things we do within them. It begins with taking stock of “a series of actions and micro-actions that we embed into our daily interactions,” says Emma. Whether this happens at work or at home, in public or in private, building inclusive environments mandates a meaningful adjustment in how people are. “It requires seemingly small and also larger shifts in language and behavior that create and sustain the feeling of belonging,” she says. There’s the old adage that putting the cart before the horse is a surefire way to sabotage your efforts—based on an incorrect (and often harmful) order of operations. The same applies with the work of inclusion and diversity. Pushing diversity measures before building inclusive environments devalues the purpose of the effort at large—and can have lasting consequences. By beginning with inclusion, however, there’s a fighting chance to create an inherently diverse company that then cultivates belonging. But when you begin with diversity initiatives before the stage is really set, companies run the risk of not only losing great hires—but actively causing harm. Beginning with inclusion is easier and, essentially, less expensive. By doing the upfront work to examine and tweak company culture and behavior to become more inclusive, you’ll more easily attract and retain a more diverse workforce. So how do you know if things are working? “It’s a chorus of things,” Emma says, when asked how to measure success. From a quantitative standpoint, retention is a key indicator, and it’s also important to examine internal mobility and representation based on those being promoted and those sitting in positions above entry-level. The ratio of offer to acceptance for underrepresented folks is another metric to examine—if you’re interviewing incredible candidates but they’re not agreeing to come on board, something isn’t right. “It could very well be that your sense of inclusion is more lip service than something happening in practice, or it’s perhaps not being communicated well enough,” says Emma. While numbers are important, anecdotal and qualitative evidence is paramount. Understanding things like employee engagement and sentiment will help strengthen inclusivity. “Ask if folks feel like they belong,” says Emma. “And not just people of color and underrepresented folks.” From there, it’s important to leverage that data in an iterative way. “You can never, ever feel like you’ve nailed it or you’re done,” she says. Emma, a self-described “user-centric product person,” recognizes that it all goes back to serving the audience with what they need in order to enjoy a meaningful and dignified experience. Like all user research, it’s critical to examine a range of inputs that will inform decision making, ensuring user needs and goals are met and your biases aren’t clouding the process. It’s helpful to consider the entire user journey of an employee through the company. That means everything from recruiting and interviewing to company mission and annual reviews and compensation. And like all product development, there needs to be a feedback loop, ensuring meaningful opportunities for learning and development. Like developing any product at any company, you need universal buy-in across the organization in order to ensure its success. Similarly, inclusion and diversity work spans every department, and siloing it under one person or even one department will guarantee failure. What's required is a perspective shift. "Start to think of it similarly to Product or any other discipline that actively collaborates, every single day, across the organization” says Emma. “It will shift your own ability to drive positive outcomes." Ensuring cross-team buy-in helps operationalize inclusivity, building it into the framework of how the company functions at large—and giving it staying power, just as much as the company’s mission and vision. “And you need buy-in from not only the highest level, but from middle managers, who can have a massive impact, as they’re the closest leadership to the broader workforce,” says Emma. Emma’s journey in doing this work is, like all things in work, never going to be done. “It’s not about calling people out, it’s about calling people in,” she says. A lot of folks fear messing up issues they know are important but feel they don’t understand—so many people shy away from discussing it altogether. “I’m creating an environment where the folks that I’m engaging with also feel safe enough to not know,” says Emma. What else is critical in her thinking? “Not being judgy and ensuring that I am not representing all queer people or all women. And I’m not pretending to represent people of color, but instead I’m sharing the understanding that I have gained only through talking to people whose lived experience is different from mine,” she says. And, from where she’s sitting, there’s a willingness in the tech industry at large to do this work, but it’s not always benevolent. Still, many places want boxes checked or they just want to stop feeling bad or diffuse a nagging sense of guilt. At Vettery, we’re in the business of making connections: primarily between employers and job-seekers, but also by creating opportunities for the most vibrant doers and thinkers to join new teams and get to work—together. Still, we recognize there’s great change needed to build equity for all in the tech world, opening more doors for more people. It’s one of the many reasons we’ve partnered with Girls Who Code, whose mission is to close the gender gap in technology. We’re committed to building a brighter and more accessible future for girls who want to nurture their curiosity and talent in computer sciences. This interview is part of an ongoing series that, in honor of our partnership, celebrates inclusion and diversity in the workplace. Emma Schwartz recently became a Senior Director of Product at Shutterstock, prior to that she was VP of Product at Axios where she oversaw the development of all digital products. There she also co-founded of the LGBTQIA Employee Resource Group, and the Diversity & Inclusion Council. A former startup founder, Emma draws on her personal experience in entrepreneurship, business leadership and product strategy to help organizations use creativity, innovation, and collaboration to create blueprints for tackling problems of all sizes. For a decade Emma has served as an advisor for women and non-binary folks in tech, early-stage startups and SMBs at the intersection of tech and gender equity. 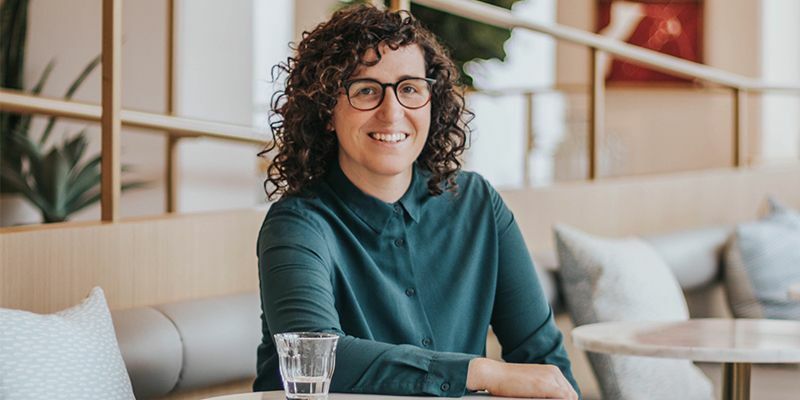 As a consultant for Argo Collective, an organization that helps innovative companies to build inclusive products and cultures, Emma continues the vital work of strategically operationalizing inclusion to create thriving workplaces for all identities. Find her on Twitter at @heyemmahey.